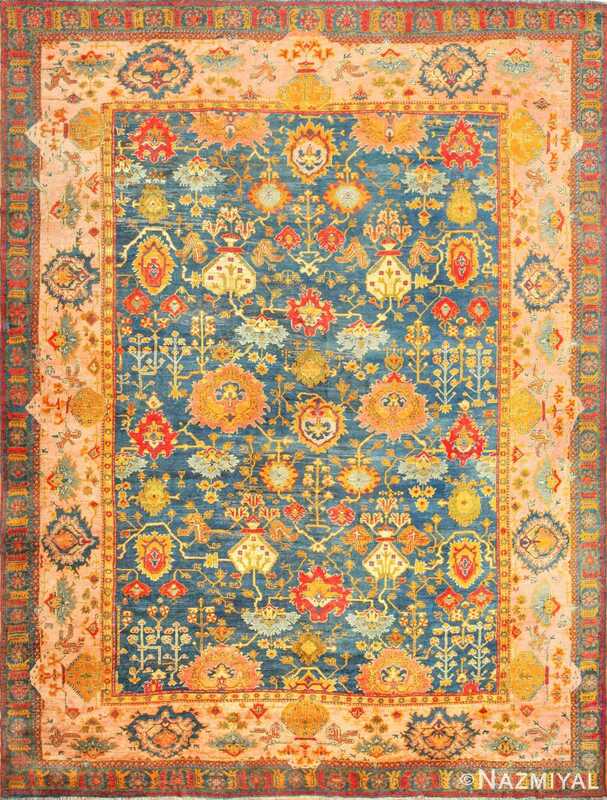 Beautiful Large Blue Background Antique Turkish Oushak Rug 49108, Country of Origin / Rug Type: Turkish Rugs, Circa Date: 1890 – True to the style of some of the best colorful antique Turkish Oushak rugs, this masterpiece rug focuses on establishing a powerful degree of negative space to allow the vibrant colors within to speak for themselves. 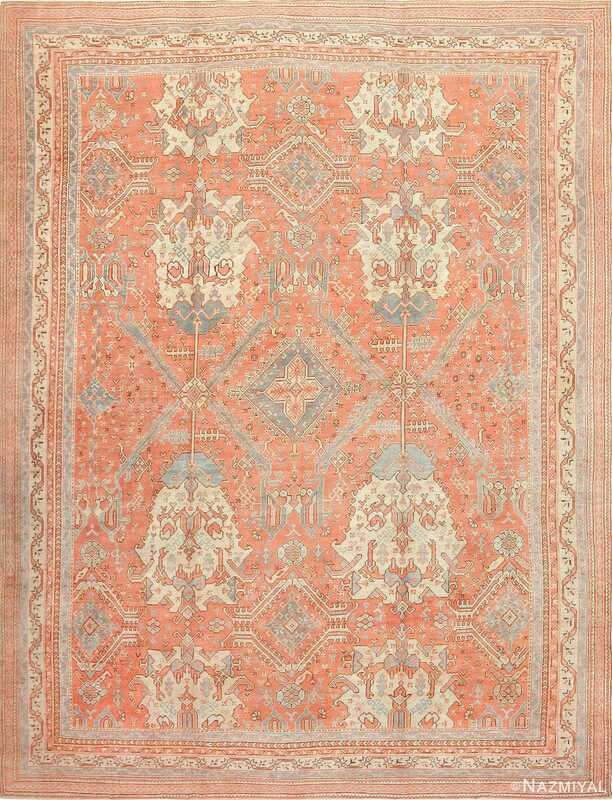 The viewer is treated to a kaleidoscopic effect, where the sense of wonder permeates every layer of this magnificent Turkish rug. 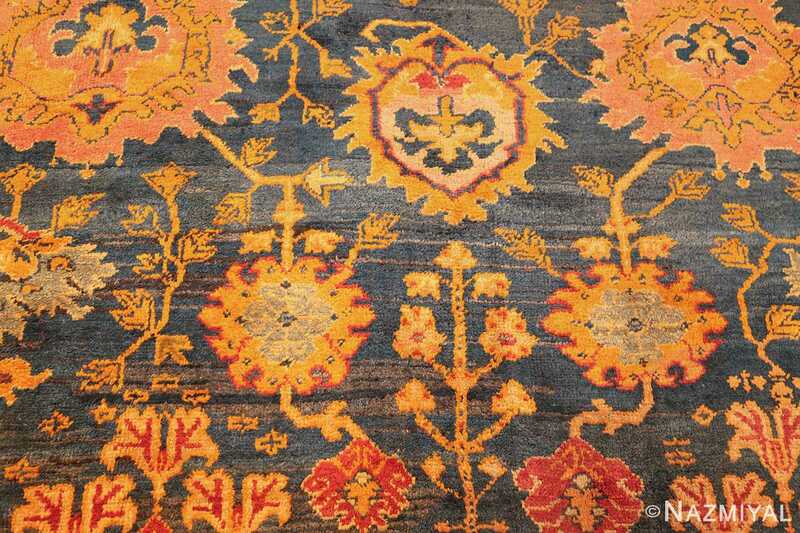 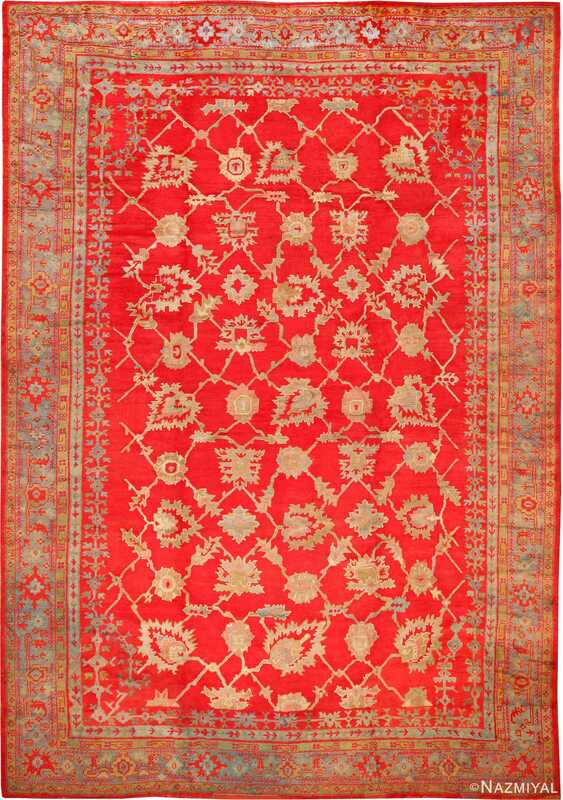 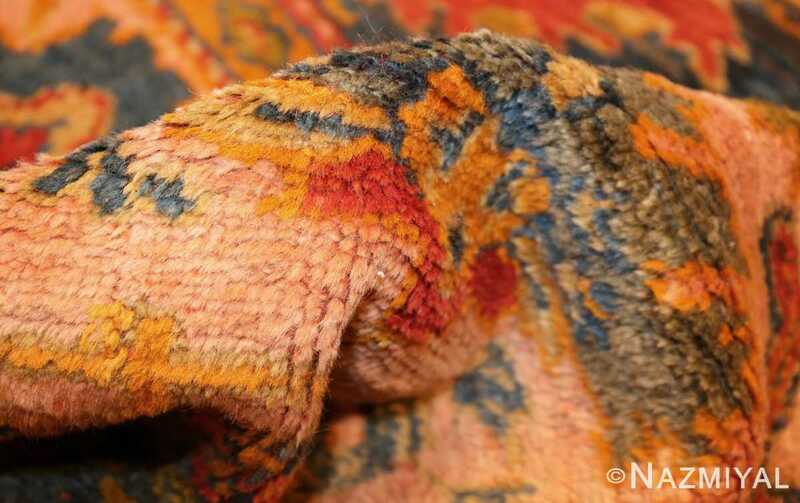 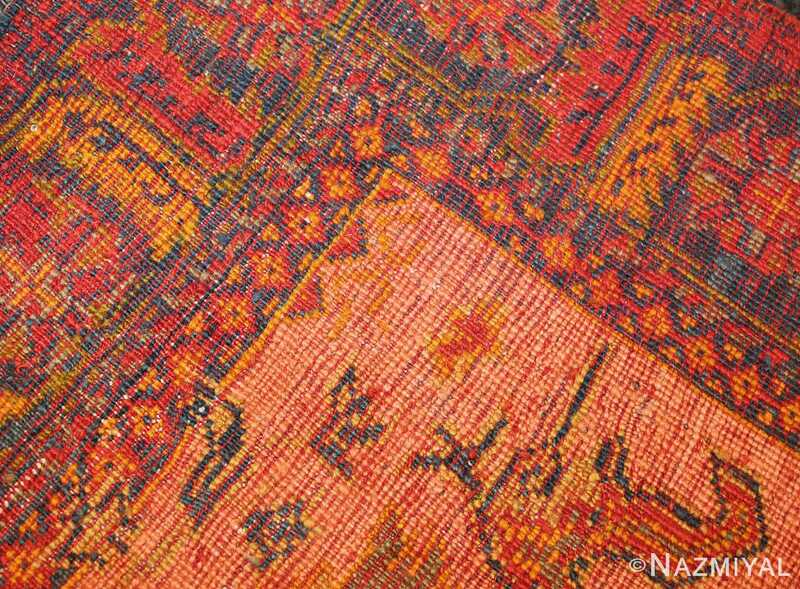 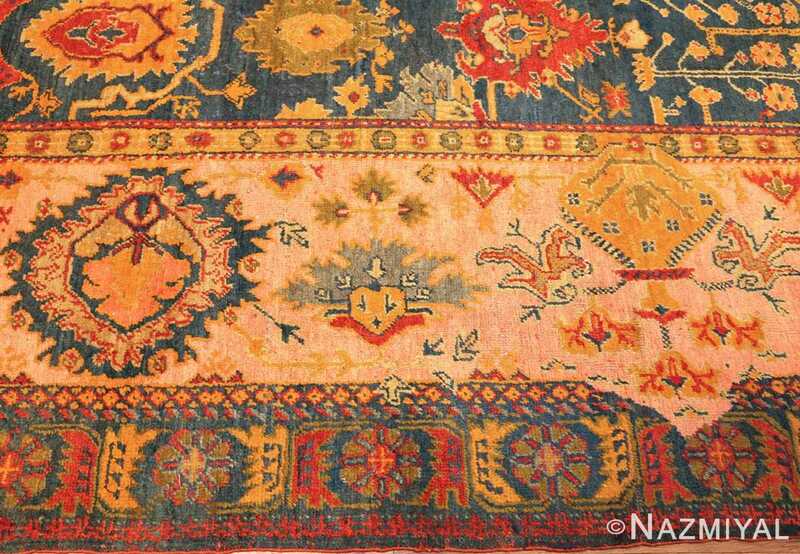 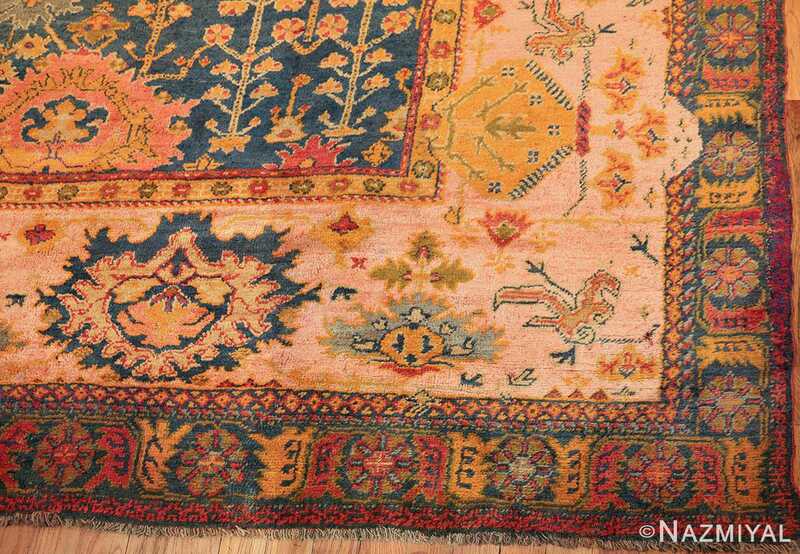 A smaller border leads into a larger one, which, in turn, leads to the center of the antique rug. 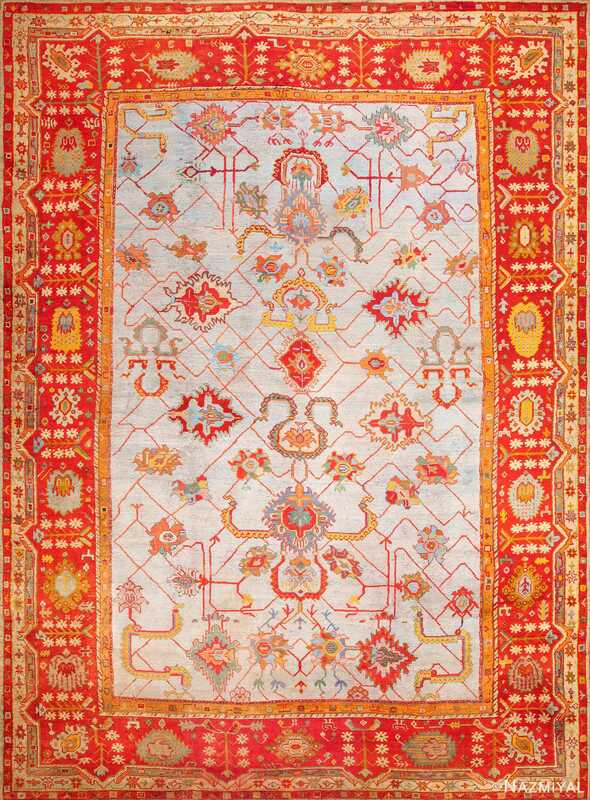 All sections of this impressive rug are the same foreground motifs, and frolicking petals, dancing vines and wide, beautiful fronds define the landscape, all seemingly connected as they take the viewer on a journey through the twists and turns within.